Sky Music is a humble and heartfelt celebration of an inspirational artist and truly unique guitarist that hasn't fully received the due credit and recognition he deserves for over 50 years of excellent music making. 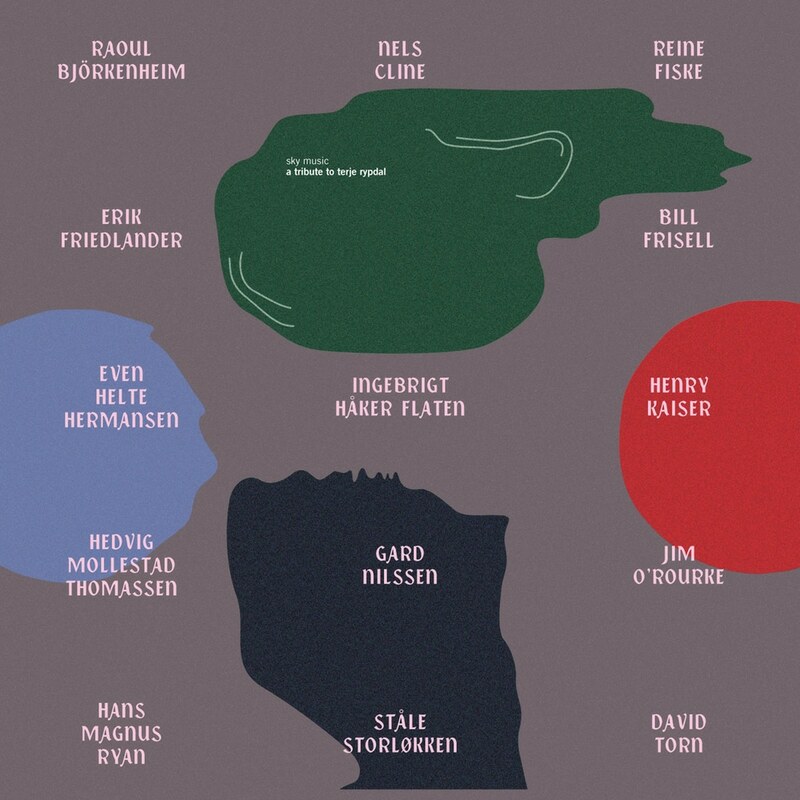 Initiated by the experimental US guitarist and lifelong Rypdal fan Henry Kaiser, we put together a Rune Grammofon allstar band including keyboardist and long time Rypdal side-kick Ståle Storløkken (Elephant9, Supersilent), bassist Ingebrigt Håker Flaten (Scorch Trio, The Thing), drummer Gard Nilssen (Bushman´s Revenge), guitarists Even Helte Hermansen (Bushman´s Revenge) and Hedvig Mollestad Thomassen, Finnish guitarist Raoul Björkenheim (Scorch Trio) and Swedish guitarist Reine Fiske (Dungen). Kaiser also played and produced while Hans Magnus Ryan (Motorpsycho) added bits and pieces and Jim O´Rourke beamed in his exquisite contributions to "Sunrise" from Tokyo. Bill Frisell, Nels Cline and David Torn delivered solo interpretations, Cline with the aid of cellist Erik Friedlander. Sky Music is their birthday present to Terje Rypdal at 70. Guitarist and composer Terje Rypdal (1947) is probably as close as one gets to a living legend in Norwegian music. First making a name for himself as a teenager with pop-rock group The Vanguards, this was followed by the inevitable passage through psychedelia with The Dream, releasing their only album, Get Dreamy, in 1967. The following year Rypdal released the extraordinary Bleak House, the first album in his own name. Then followed the self-titled album from Min Bul - his trio with Bjørnar Andresen and Espen Rud - before a lifelong and fruitful relation with ECM would see the release of a large number of great albums, taking in jazz, rock oriented albums, symphonies, large ensemble works and various collaborations. The last few years he has also played live with Elephant9 on several occasions.